Your artwork printed to a stunning genuine grey back roll up banner. 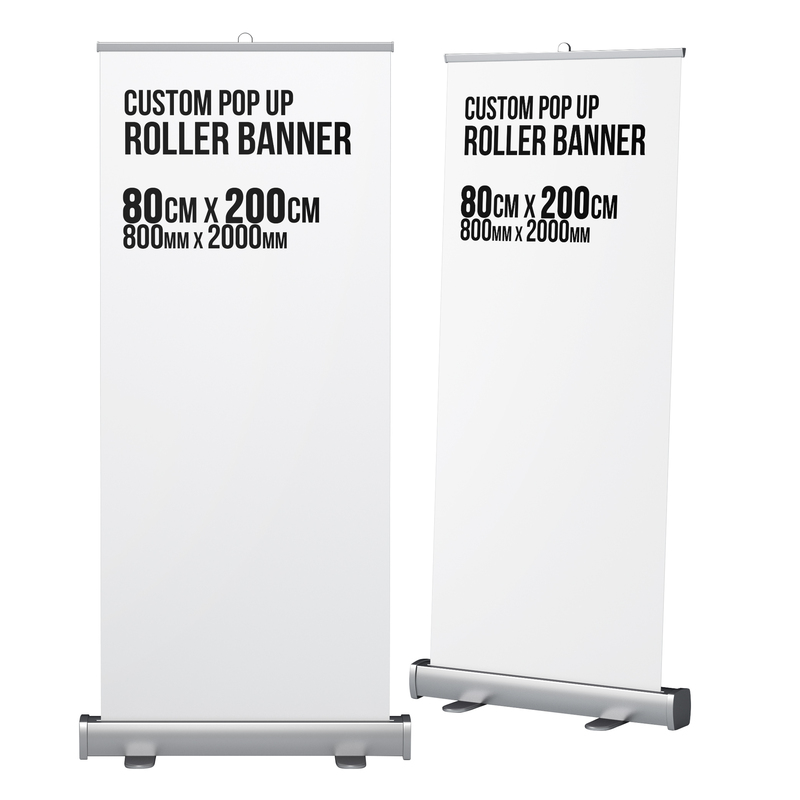 Promote your business with a pop up roller banner that pulls up from a high quality aluminium stand, complete with carry case. Ideally suited for exhibitions, conferences, presentations, reception displays, longer term and frequent use. For the best finish of your roller banner please provide bleed with your artwork. White edges are not recommended. It is recommended to submit PDF files for this print media designed in Adobe Illustrator. Please embed, flatten or change to outlines for all fonts used if sending editable file types. The visible panel is 800mm wide and is 2000mm high. Artwork size should be 800 x 2100mm high. We only use genuine grey back roll up banner material and Epson Eco-Solvent inks which are scratch proof and fade resistant.